A dining table helps set the mood for meals with your family, as well as when you are hosting guests. Dining tables come in a host of styles and sizes to accommodate your specific need. 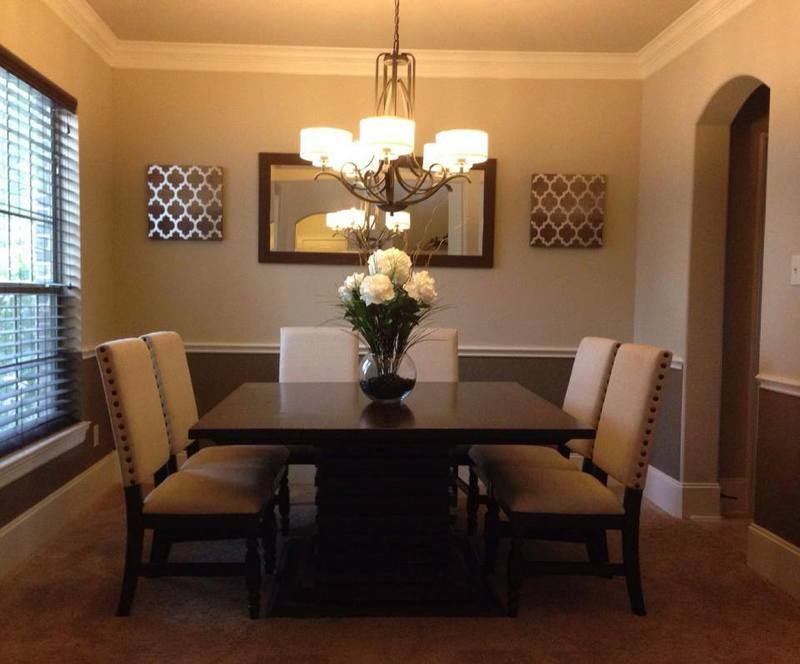 If your dining room is square, this style is a good option to consider. Square tables help maintain a balance and proportion in a symmetrical room. With choices between 4 to 8 seats, they aren’t extremely large that they end up dominating the entire space. 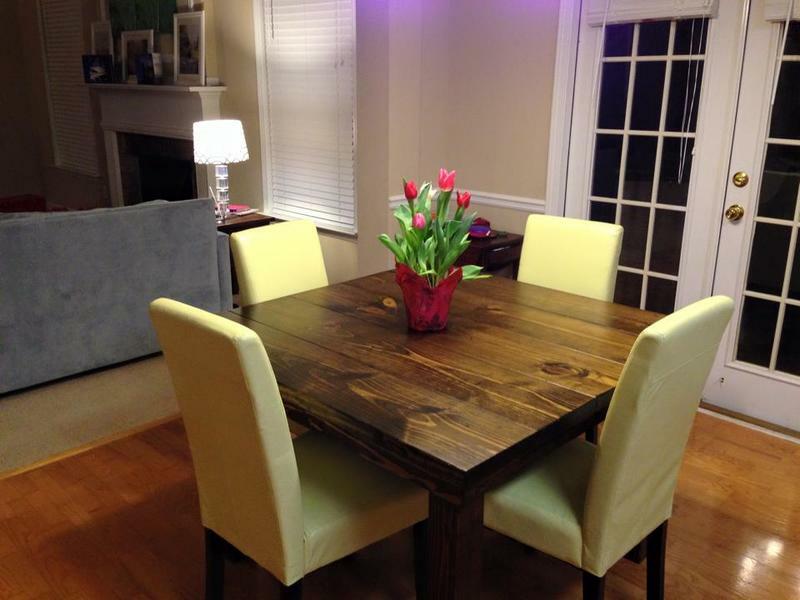 If you are a family of 4, a square dining table proves to be perfect for conversations. This is because they are equidistant from other parts of the table. However, if you need more table space in case of larger gatherings, you may want to consider investing in another table or joining two square ones together. 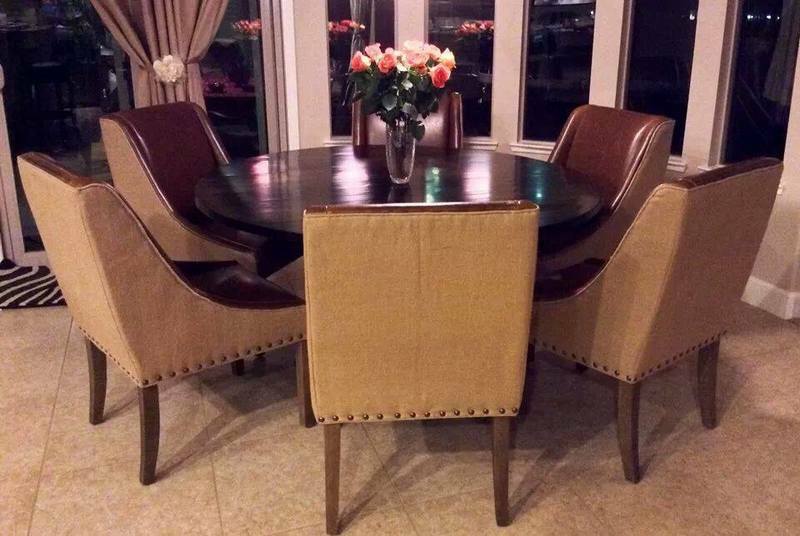 Round tables are ideal for smaller dining spaces. This is because they come with a smaller footprint and help create a rather cozy, warm and friendly dining room environment. If you have young children in your home, the lack of sharp edges make them safer to be around. Families are able to optimize their investment since they are perfect for some board games and family time. Serving meals becomes easier, since round tables offer a common centre that is easy to reach out to. 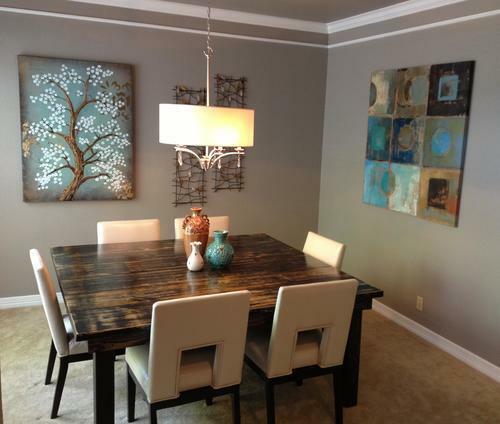 Square tables may not fit well into rectangular dining spaces since the seating on the wall sides may get cramped. Before finalizing on a round table, make sure you apply pressure on various locations it to test its sturdiness. To ensure adequate strength and balance, opt for a wide pedestal base that is able to support heavy weight. The other option is to find one with multiple legs.